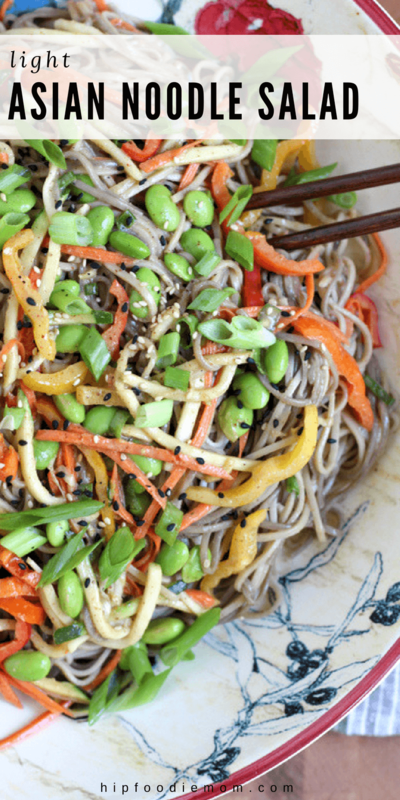 Light Asian Noodle Salad! 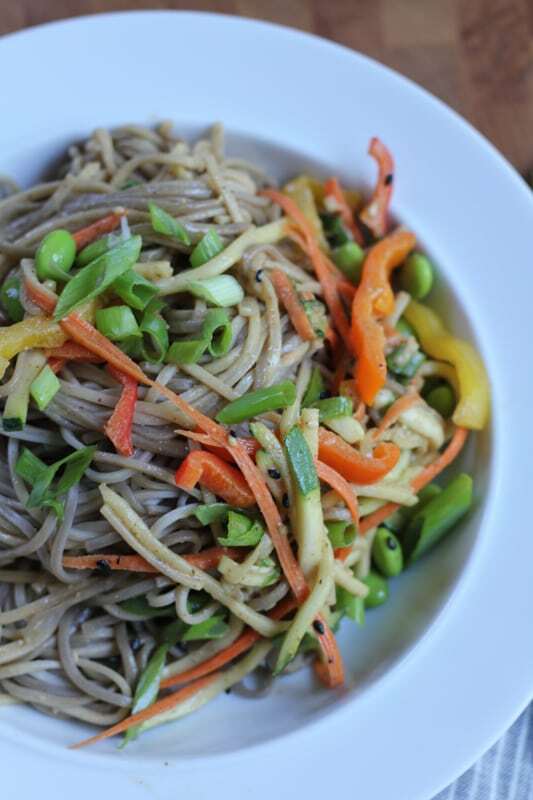 Colorful and fresh bell peppers with chewy soba noodles, edamame and a life changing creamy almond butter sauce! (This post has been edited). The phone call you never want to get. This happened last Wednesday night. My husband was driving home last Wednesday and was like 3 minutes away from our house and was involved in a bad car accident and was taken away from the scene of the accident in an ambulance to the ER. And she starts crying and calls her husband, Paul’s oldest brother. I get there. . they take me to the ER and to the room where he is and Paul is strapped to a gurney, in a neck brace with a sheet covering him and wires everywhere, attached to his body. And he’s on the phone. With the insurance company. Reporting the claim. They let you use your phone in the ER?! So, I walk in and immediately say, “Are you ok? What are you doing? Who are you talking to?” “Why are you on the phone? !” They just ran the CT scans and we are waiting for the results. Paul turns out to be fine and a very lucky man. Thank you, God Almighty. His car did not flip over but rolled straight into a ditch. The hardest part for the paramedics was strapping him to that gurney and carrying him up and out of there. And the car is totaled. Gone. But my husband is alive and safe and home. Thank you, God, thank you. And he only was extremely sore and had some abdominal pain and soreness. The next morning, I had to drive my husband to work because we didn’t have a rental car by that point and I’m getting Madeline out of bed and putting her into her car seat, strapping her in extra tight and Phoebe is buckling up, again extra tight, they are excited that we get to drive daddy to work . . and Paul is next to me in the passenger seat. I think to myself, Thank you God so much that my family is intact. That we are all safe and alive. Asian food is my comfort food and buckwheat noodles are up there on my list! 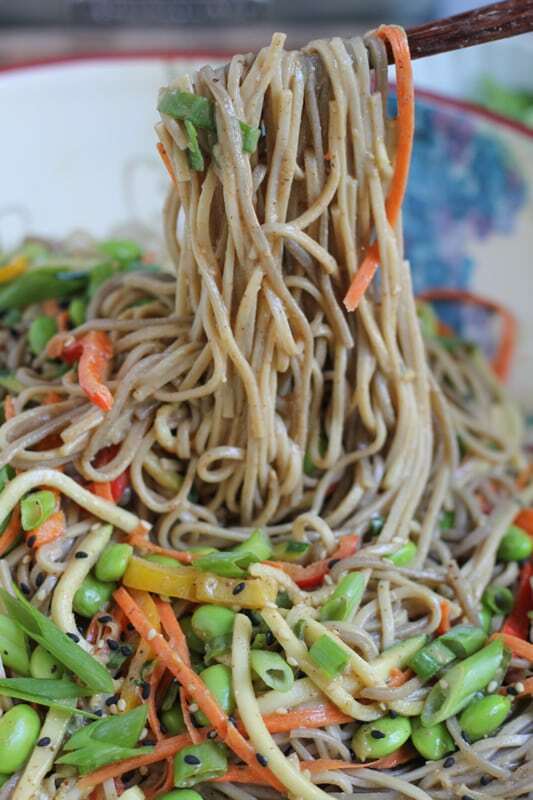 I absolutely love buckwheat noodles, also known as soba noodles, and my family does too. 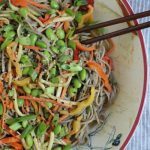 This healthy, light asian noodle salad is so easy to whip up and would work great as a potluck dish or a side at your next cookout, or even as a delicious and quick lunch or light dinner. 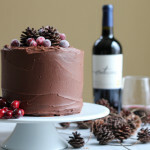 Check out my full post and recipe on the KitchenAid blog, too! 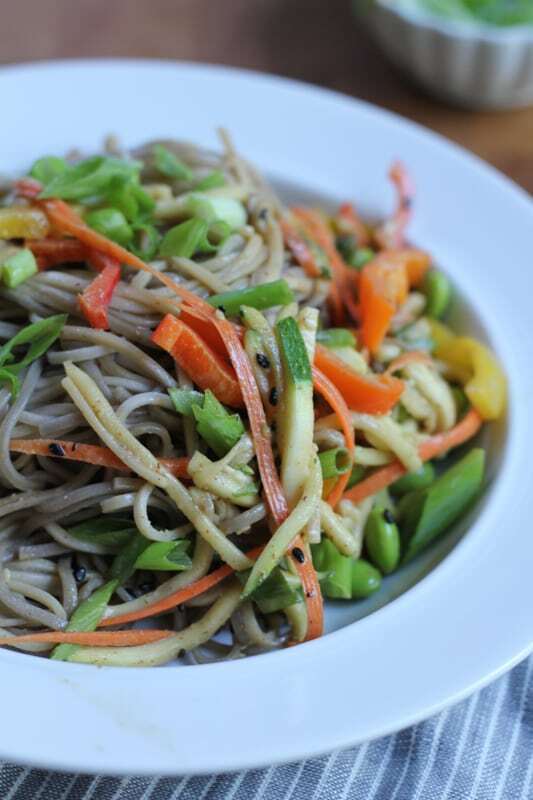 I’ve also included other grilling recipes that you can make with this Light Asian Noodle Salad. . because come on, sometimes you gotta try something new!! And the moral of this story? Drive carefully, folks. Please drive carefully. Note for the cook: *Buckwheat noodles do not take long to cook. You typically only need to boil them for 4 to 5 minutes. Do not over cook your buckwheat noodles. You do not want your noodles too soft. Using a small bowl, whisk together the vinegar, sesame oil, soy sauce, almond butter and honey. Taste and adjust any ingredients according to your taste. Set aside. Using your KitchenAid® 9-Cup Food Processor with ExactSlice™ System, insert the julienne disc and place your zucchini, one piece at a time (as shown in the photo above) into the largest opening of the wide mouth feed tube, cut side down. Turn on food processor on LOW and press the zucchini down into the feed tube. Repeat until all of your zucchini pieces are julienned. Remove shredded zucchini and repeat with the carrots. Using a large mixing bowl, mix together the shredded zucchini, carrots, cooked buckwheat noodles, bell peppers, edamame and green onions. 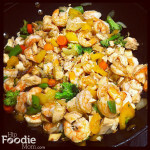 Pour the sauce over the top and mix together until the noodles and vegetables are nicely coated with the sauce. When mixing together buckwheat noodles with veggies and the sauce, I find that wearing disposable plastic kitchen gloves and using my hands works the best! Sprinkle with roasted sesame seeds and serve. 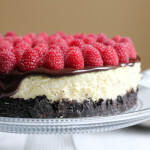 You can also find this recipe on The Kitchenthusiast! Disclosure: This is a sponsored post in partnership with KitchenAid USA. All opinions expressed here are 100% my own. Thank you for supporting me in working with the brands that I use and love. Yes thank you God that your husband is alive and well and that he didn´t have more serious injuries! I can imagine how you must have felt when you received that call! I´m so glad he is ok! thank you so much Johlene!! Oh my goodness, Alice. I’m so glad that Paul was okay, but what a terribly frightening event. My grandmother’s favorite expression was, “Scare me, but don’t hurt me.” Maybe, but being scared is also extremely stressful. I would have gone straight for the brownies, Whole 30 girl. But instead, you made this. It looks really good. But I’m just happy everyone’s okay! Thank you, Mir!!! hahaha Whole 30 girl. . that night when I went to the ER, I didn’t even eat anything for dinner! I was so nervous and by the time we got home, we were exhausted! Oh wow, I am glad he is okay! 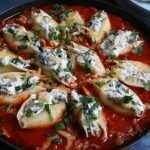 I actually have a very similar recipe that is going to be in my book. 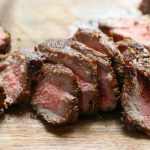 it is one of my favourite quick and easy meals. Wow, that must have been so scary for you! I’m so glad he’s okay! 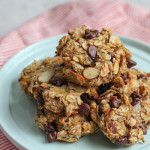 I’m also glad you shared this recipe because it looks so super yummy! Wow I’m so glad your husband is ok, Alice! I would’ve been worried sick too if I got a call like that from my husband. And that’s too funny that he was already on the phone in the ER! This noodle salad looks just perfect! I love the asian flavor and pretty colors. Looks like it makes the perfect lighter meal! Oh my word – I would have no idea what I would do if I was you! Such a scary call to get, but thank God he is ok! Did the other person just speed off? What is the world coming to?! I would have stress eaten that entire bowl of noodles that night! Oh my gosh, that must have been so scary for you, Alice! I’m so glad that your husband is okay and HUGE virtual hugs coming your way because it sounds like you had quite the emotionally-exhausting week! This week will be better! 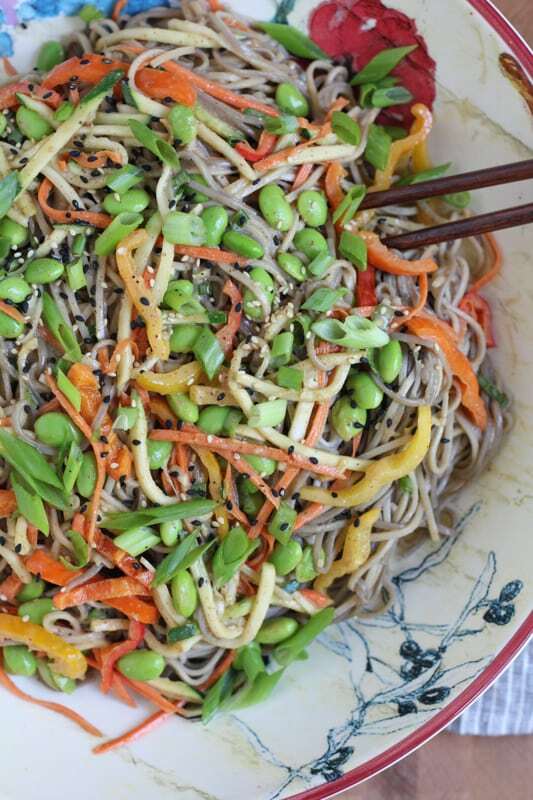 You deserve a whole bowlful of this GORGEOUS noodle salad, girl! So much gorgeous summer color! So glad to hear your husband is okay- wow so scary! This salad – on point and great comfort food. HOLY TOLEDO, that is quite the story! I am SO glad the hubs is ok…I would be a basket case! And this pile of noodle goodness? I want to face plant into it for dinner! Pinned! Oh my gosh Alice, I am SO SO glad to hear your husband is okay. That must have been extremely scary 🙁 So sorry but thankful *hugs* Yes to comfort food and a big bowl of these noodles. They look perfect! Thank so much Kelly!!! noodles are the first thing I’m eating when I’m done with the Whole 30! Oh my goodness, what a horrible event. I’m SO glad that Paul is alright!! People like that speeding driver need to be off the road, immediately. And this salad looks exactly like one I used to eat all the time in college. Want! Thanks so much, Sarah! I did ask at the hospital if the other driver was there too but no one knew.. I asked like 10 people. . but yeah. seriously, that driver was SPEEDING like crazy! Thanks so much, Shashi!!! hugs to you too!! Oh wow, I’m So, so glad that your husband is Ok. I know what a scary call that is to get and I’m so glad everyone is alright. 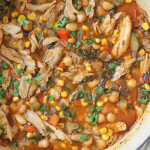 This dish looks wonderful, I’m sure it made great comfort food! Thank you so much, Sam! and thanks for the visit! I’m seriously so thankful that your family is safe and sound. The story was just so scary. Thank God! 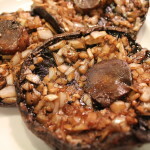 And I can see why foods like this are so comforting! Thanks so much, J! We are feeling very very thankful! Thanks so much, Allie!! yes, it all became super real when we saw the car, the damage. . it was crazy! I was like, damn how fast was that person driving?!! it was CRAZY. Oh my goodness!!! I literally gasped when I read the first line from my email. I am SO glad Paul is OK and that the whole family is fine! This stuff is hitting harder to me now that we’ve got our own little one on the way, and you’re lucky you didn’t make this prego cry 😀 Paul sounds like my hubby, except mine would be Instagramming a leg selfie from the gurney on the way, ohhh man. Anyway! I love love love summer Asian noodle salads, and I really need an excuse to figure out the slicer blade on my food processor! We’re going to the beach with some family soon and this is *always* my go-to lunch to pack. Sandwiches?! Pshhhhh. I need real food, people! This is packed so full of veggies that baby will be happy, but so much gorgeous nutty sesame flavor to keep mama satisfied too. Oh, and pretty sure baby either loves or despises the strong, strong flavors I ingest, because he’s always kicking up a storm as soon as that amniotic fluid starts wafting sesame! It’s too funny. I’m always like “Is this.. good? Or you hate it..?” Haha! Better get used to it now, offspring! Cheryl, you are the sweetest!! thank you!! your husband would be Instagramming a leg selfie from the gurney on the way!! love it, hahah!!! I do enough social media for my husband and I combined! 😛 he doesn’t do any of it! and the kicking means he LOVES it. strong flavors? oh hell yes! Oh wow Alice! I’m so glad your husband is ok. What a nightmare for you all. Every time my oldest gets behind the wheel, I’m saying extra prayers.. You and your husband definitely deserve some comfort food after that ordeal. What a beautiful dish. Thanks so much, Maria!! oh my gawd, I can’t even imagine when my girls start driving. . !!!! Oh God! Glad he is doing ok! Sorry to hear what happened Alice and that stress you went through is terrible! Love the recipe for that noodle salad! Hooray for noodle salad! 🙂 Thank you, Mira! Oh my gawsh, Alice! I am beyond happy your hubs is okay!! People be crazy I tell you!!! ♡ this asian noodle salad looks like the perfect way to celebrate everyone being safe, and at the end of the day, okay (minus the poor car). Cheers to simply delicious food, you and your family! Thank you so much Cheyanne!!! Oh my gosh, Alice! I’m so glad he is all right. Thank God! Thank you so much, Julie!!! We are all feeling the love over here for sure. . and yesterday (Father’s Day) was that much more special for us! Thank God your husband is ok! I know you had to be so scared. On another note, this salad looks delicious – perfect for summer! Oh my gosh, Alice. I don’t even know what to say. Except I’m glad everything is OK now. Must have been terrifying. Ugh. Hugs to you and your whole family. Thanks goodness for a comforting bowl of noodles. Alice, I can’t imagine! As if your husband went to work the next day — I am pretty sure if that was me I’d be taking the day off! Thank God he is safe! so glad to hear that your husband is okay Alice. That must have been so scary!! prayers for your family, god bless you all. 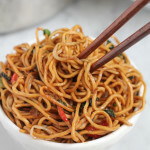 The noodles look fantastic, I can eat them everyday! Ohmygod, Alice!!! How completely scary. I’m such a fatalist, so I start to freak out if Paul is even 20 minutes late. I can’t remember life before cell phones. So glad everyone is ok! Oh my goodness, Alice! So glad your husband is ok, what an ordeal! Hugs to you <3. And this salad is just the kind of thing I crave all summer long, yum! Alice, I’m so glad that your husband is okay and that your whole family wasn’t in the car. That kind of thing really snaps things into perspective. It’s easy to forget how fragile our lives are. Oh Alice, I cannot even begin to imagine how you were on that day. I am SO happy and glad that he was OK and Thank God! Goodness, the idiots on the road scare me. My word, Alice, so glad your husband is okay. No doubt this is a phone call no one wants to receive. But a plate of this lovely salad? Heap it on! Oh my, Alice. I can only imagine how you were feeling when you first found out about the accident. I’m so happy to hear that Paul came out unscathed. You can never be too careful out on the roads. People drive crazy out there! On a lighter note, this salad looks spectacular. It sounds so full of flavor. The perfect meal for a hot summer day. Oh my gosh I am so happy that your husband is okay! What a lucky guy. Take care and thanks for reminding us all to be extra careful on the road. ALICE!!!! What a big scare! I’m SO GLAD that Paul was fine!! Seriously, I HATE those people who are barreling down the highway and putting everyone else around them at risk. It really drives me nuts. Again, I’m just happy that it was the car that got most of the damage! Awh thank you so much, Nami!! you are so sweet. . yes, we all just have to be alert and careful! OMG Thanks GOD your husband is safe and well and home, and that he was solo in the car. I know its unfair in this cases, the person speeding is at fault, but God sees everything and will find a way to stop him/her, so this tragedy doesn’t happen for other families. You went thru hell, getting that phone call, and driving to see your husband probably were minutes/hours of torture, but your family is blessed, concentrate on the positive and be thankful. Happy everything turned put well. My goodness, Alice, I am SO glad to hear that your husband is ok. I’m sorry to hear the car is totaled, but at least everyone is safe. I hate getting phone calls like that and it is always a relief when everything turns out ok! 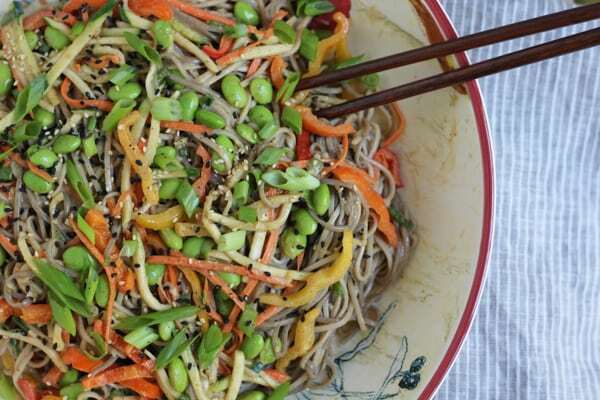 I love Asian noodle salad and never make it myself, but definitely need to try this recipe. Oh dear…I’m so glad Paul is okay. I couldn’t imagine if I were in your position…and thank God for his protection. This salad sounds so comforting and definitely a recipe worth to try. Checking out a recipe and sending you a big hug. Hope Paul had a lovely Father’s Day celebration, too! Thank you so much, Linda!! Thank God your husband is OKAY!!! btw, the salad look FABULOUS. Yes, he does!!!! I was thinking the same thing! I’m so glad your husband is ok, and I can’t believe he was calling the insurance! Such a close call — it’s a reminder how lucky we are to be safe every day. As for this salad, I never make noodles, like ever. 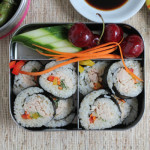 I have got to get on the ball — I would love to eat this for lunch every single day! Oh Alice! That must have been so scary!! It’s the worst when you’re can’t do anything to help. SO glad he’s ok. I’d be turning to my comfort foods too. This salad looks perfect! Alice – so glad to hear that your husband is fine after the accident – how scary. God is good and He is watching over you and your family. And…these noodles look amazing. Enjoy your family! So glad to hear your husband walked away from that with such minor injuries. So scary! 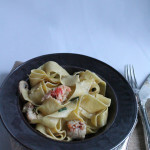 Love the almond butter in this noodle dressing– this looks like a wonderful summer dish. Great dish to calm your nerves! Buckwheat noodles are one of my favorite comfort foods. 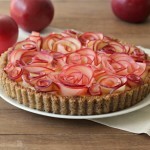 Pinning and yumming for sure! Oh my gosh, Alice! I’m so sorry to hear about your husband, but I’m so glad he’s okay! That must have been horrible to go through.